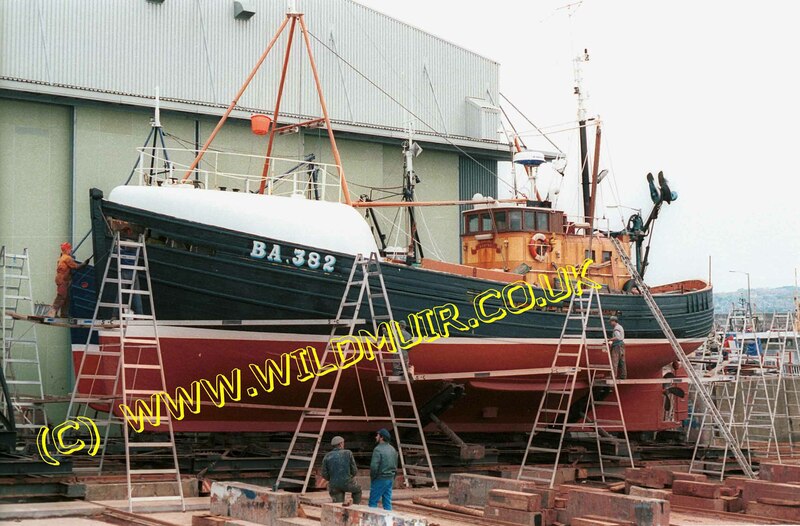 on the repair slipway at Macduff, May 1988. Note the unsupported trestles and unguarded platforms used by the painters. Health and Safety has changed a lot since 1988, and work done today uses much safer access lifts and scaffolding. 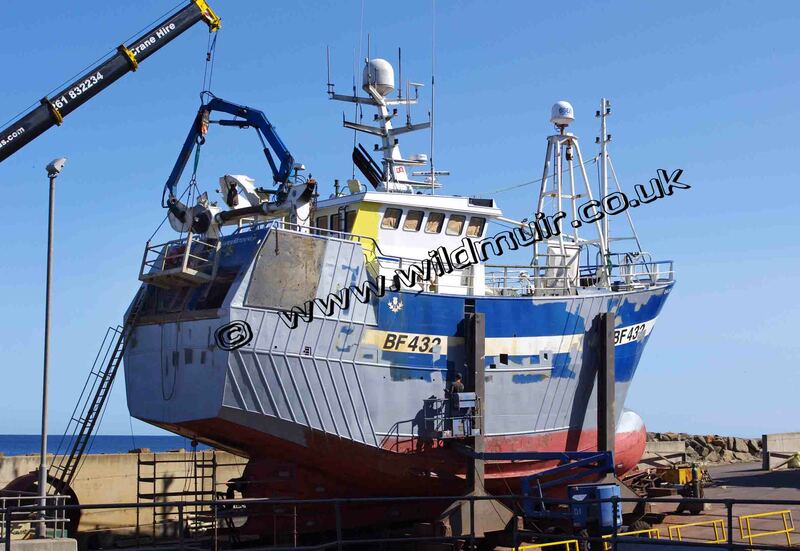 My collection consists of all types and size of fishing boats, almost all from Europe, and includes many Scottish boats. 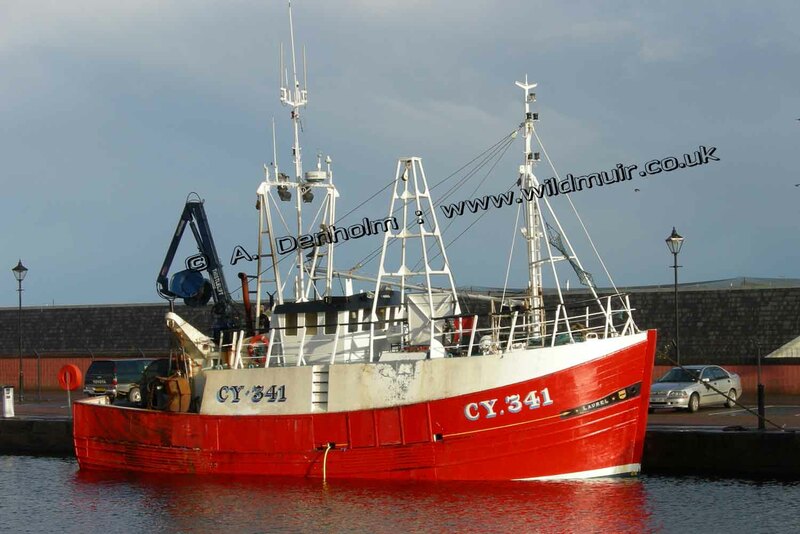 A list of over 10,000 named fishing boats, most in colour, and some in black and white can be viewed by clicking the [ Download the Fishing Boat Photo List ] link below. You can search online using your browser's edit/find command, or you can save the list and search or print it from your own computer.